In the modern world, sustainability is part of everyone’s lives – even if just to the smallest extent. Being mindful of recycling and energy consumption are just two examples of the depth that sustainability has in everyday life. It goes so deep, in fact, that a commitment to the environment and the future needs to be considered and heeded in the commercial world, as well as domestic. It is not just the responsibility of consumers and the general public to be mindful of the environment and minimise the negative impact that they have, but it is a business’s duty, too. Many larger companies are often able to dedicate resource and finances to sustainability, and have impressive environmental or energy policies as a written part of their business ethos. For smaller businesses however, this is not always possible – be it due to lack of funding, resources, or other reasons. But, there are still ways that small businesses can reduce their environmental impact without breaking the bank. Even seemingly small changes can make a big difference in the long run – especially if you implement more than one change – so start with the simple things, and build from there. As far as consumption goes, you should look at maximising the efficiency of your resource use as well as energy. This could be anything from paper used in the office or packaging used for shipments, to human or computer resources – just try your best to minimise the amount you consume. You could do this by putting new rules in place to make everyone in your business aware of consumption. As well as reduce the amount of resource that you use, you should consider how it is disposed of once used. It’s quite simple, really: minimise the amount of waste that you send to landfills, and increase the amount you recycle. If you don’t already have paper, plastic and tin recycling facilities available in your business – that’s the first step that you should take. Look online for ideas on how you can reuse and upcycle larger items, rather than throwing them away. Even if your business is as green as it possibly can be, there’s a possibility that your business is supplied by or otherwise associated with a non-green business. This could, effectively, offset your low-impact footprint entirely. So, review the eco-friendliness and sustainability of businesses that supply you, and partner up with green ones where you can. It may not always be possible to only associate with sustainable businesses, but there may be at least one or two changes that you could make. Not only does this help your own business’s footprint, but it encourages other businesses to take their first steps towards being green, too. If you’re a business that relies heavily on travel – or even a courier company where transportation is at the heart of your business model – then vehicle emissions could be an area you can target to improve the sustainability of your business. Even if the only emissions associated with your business are those created by employees travelling to work, there are most likely improvements that could be made. Try encouraging carpooling schemes, or offering incentives to make the most of public transport. If you truly want to successfully take responsibility for your business’s sustainability, then you need to get all of your employees involved, too (if you have them). One person is not enough to implement a change across and entire business – even if that business is a small one. Get your staff on board with business sustainability, and build a green culture in the workplace. 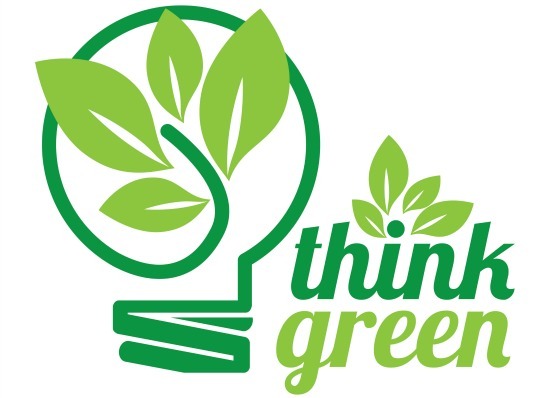 That way, environmental awareness will slowly become a habit, and then an integral part of your business. Only then will you have truly achieved sustainability for the future. Hannah Corbett is passionate about green energy and renewable technology, and spends much of her time writing articles on the subject. She mainly writes for business saving experts, Make It Cheaper, but has had content published on a number of sites.